Dutch steel cruiser for sale in France. 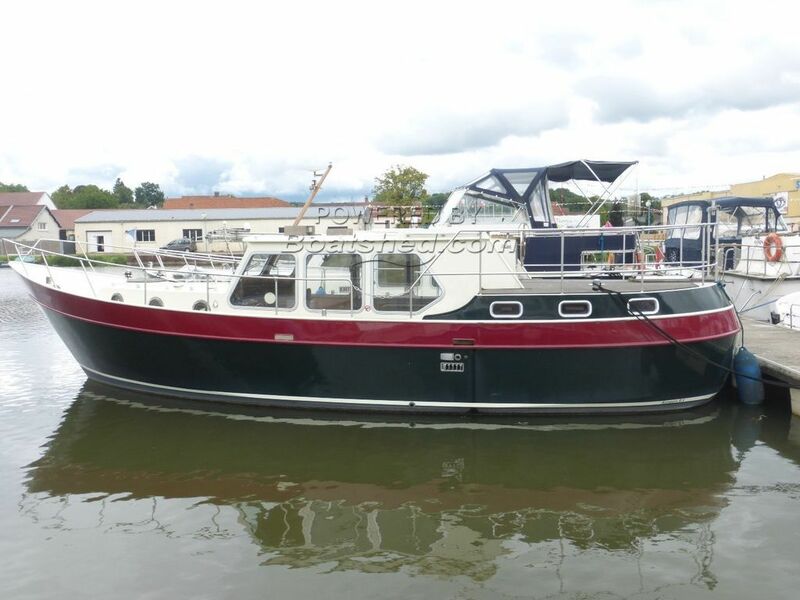 Boatshed Bourgogne is pleased to offer this Dutch steel Kotter Kempala for sale in North Of Burgundy from 1979. The hull of this motor cruiser has been professionally prepared and repainted in epoxy paint in 2016 and bills to prove, lots of technical improvements done in 2014. The inside looks a little sad, but after a great cleaning, this cruiser will make a good family boat or even a live aboard cruiser for a couple. Nice lay out, open space galley in forward with seating convertible into 2 berths, a well fitted galley, washing machine, fridge, microwave, gaz oven and cooker, open to the central cockpit saloon with inside helm and an aft cabin with double bed, and ensuite shower toilet. Aft deck with outside helm, and a great aft terrace to entertain or enjoy the sun. The teak deck has been professionally done in 2016. This boat is lying in a nice quiet marina, with onsite facilities and a yard if you need. This Dutch Kotter Kempala Live Aboard River Cruiser has been personally photographed and viewed by Boatshed Broker of Boatshed Bourgogne. Click here for contact details.